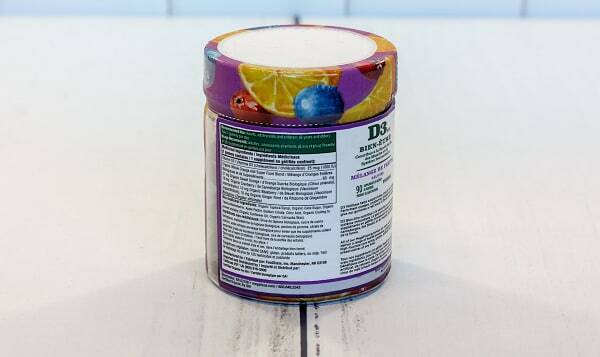 Non-medicinal ingredients: Organic Tapioca Syrup, Organic Cane Sugar, Organic Tapioca Maltodextrin, Apple Pectin, Sodium Citrate, Organic Coating to prevent sticking (Organic Sunflower Oil, Organic Carnauba Wax). 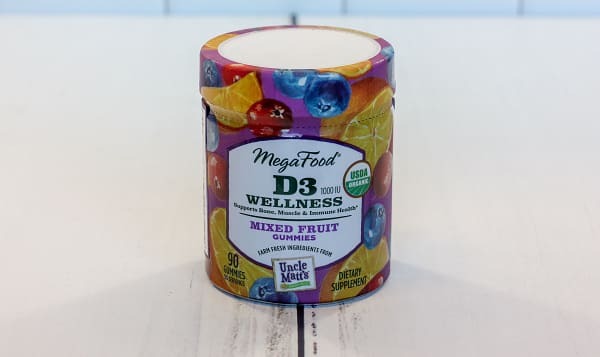 MegaFood Vitamin D3 Wellness Mixed Fruit Gummies are made with real, whole foods sourced from farm fresh partners—no artificial or added colors, flavors or preservatives, period—plus they’re easy to chew and swallow. Fresh-picked Florida oranges, Wisconsin cranberries, Quebec blueberries and Kauai ginger root—a bountiful blend!—give our gummies a real boost in flavor and color, while 1000 IU (25 mcg) of FoodState® Vitamin D supports bone, muscle and immune health. Recommended Use: 1 gummy daily. May be taken anytime throughout the day, even on an empty stomach. This product traveled 5173 km to reach our warehouse. MegaFood is committed to real because they like the way real makes you feel. And they like the way it makes them feel. They like the feel of working with real organic farmers and real local natural retailers—of being a small, honest, rooted-in-real New Hampshire company. They like the feel of being real, using real, making real. You’re already making good choices—they want to make it even easier. 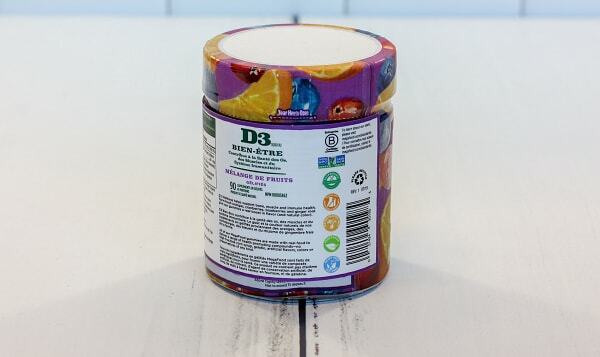 Thinking about what goes into their supplements is not something many people do. But fortunately for you, that’s all MegaFood thinks about. Their mission is to feed your body and nourish your soul so that you feel your absolute best self: prepared for the day, fueled with energy, filled with confidence.